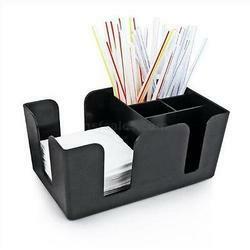 We are one of the trusted manufacturers, suppliers and exporters of an assortment of Bar Accessories. These products are manufactured by our skilled professionals using high-grade raw material and latest technology. 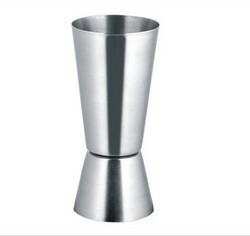 Available in different sizes, shapes and designs, these products add to the ambiance of bars. These products are appreciated for their features like perfect finish, long lasting lustre, durability and corrosion resistance. Our range consists of Wine Coolers, American Cocktails and Ice Buckets. 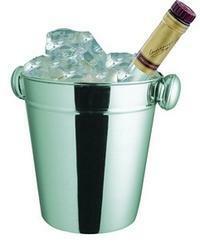 We are engaged in offering a wide range of Ice Buckets to the clients. 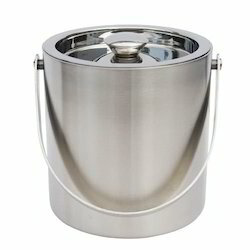 These buckets are manufactured using stainless steel, which is obtained from certified vendors of the market. 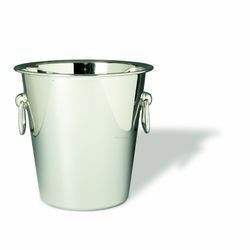 Available in varied sizes and shapes, these double walled buckets prevent ice from quick melting. Our organization is engaged in offering a wide range of Wine Cooler to the clients. We manufacture these coolers using optimum grade metals that are procured from renowned vendors. Our patrons can avail these coolers with rounded handles and wavy top edges in the market. These products assist in keeping the wine cool for a longer period time. Further, these products add accent to the ambiance of the bars. We offer these products at reasonable prices in the market. 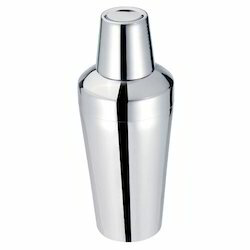 We are involved in providing an exclusive range of American Cocktail Shaker to the clients. These products are manufactured using premium quality raw material and latest technology at our production unit. We offer these products in standard as well as customized specifications to our valuable patrons. These products are manufactured in sync with the global quality standards and norms. 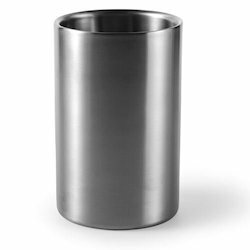 Owing to our experts experience in this domain we are capable of manufacturing and supplying these Circular Stainless Steel Ashtray in an exclusive range. Our creative designers manufacture these trays using superior quality raw materials and advance technologies. These are available in various sizes and designs. We offer these products at market leading rates along with customized service options. We are manufacturing wine chiller bucket. Kindly contact us for further details. 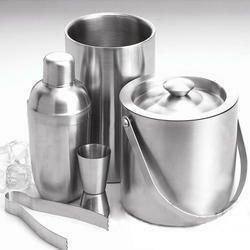 We are the prominent organization instrumental in providing our patrons an array of Bar Caddies This bar caddies set offers elegantly designed products crafted from premium quality materials. With its durable finish these offered products are a delightful mix of elegance and functionality. By keeping our pace with the prevailing market trends and developments, we are introducing a premium quality collection of Condiment Box 50 x 16 x 12. In adherence with the industry defined norms and guidelines, our offered range of products are widely appreciated for their ruggedness, seamless finish, exceptional quality and flawlessness. Moreover, we deliver these to our customers within the promised time. We are the prominent organization which deals in offering PEG Measure. Incorporating the vital components and fully utilizing the latest technology to perfection, these PEG Measure are designed to be used for long period of time. 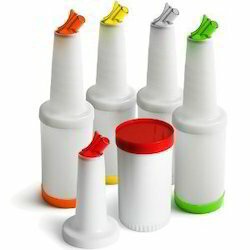 These PEG Measures are used in the beverage industry for the preparation of the alcohols and other liquids. Our range is far superior to the similar range of the PEG Measures available in the market.